Sure does give you doozies every so often, huh? Not one hurdle I had to jump. And that, my friends, has made my week pretty fantastic. Now this week wasn't perfect by any means. I had a blazing headache the first part of the week. I got my monthly visit from our favorite (not!) Aunt Flo. My Spanish teacher was out sick on Monday, but didn't cancel class and had a substitute cover for her. I had some people talk a little down to me or trying to make me questions myself. But you know what I did differently this week that I don't usually do? My headache eventually went away. I tried to get to sleep a little earlier and relax a bit before going to sleep with a bath. My monthly visitor was only mean for the first day and then left me alone on the fourth day. Aunt Flo usually stays at least seven! So that was a plus. My Spanish teacher came back on Wednesday and pushed our midterm another week and offered an extra credit assignment. One more week to finish homework and a chance for extra points?! Coolio! Those people who felt the need to take their bad day out on me? Whatever...I just brushed it off and then later this week, got two accolades on my work! And those two "Job Well Done" totally outweigh the crap the others tried to dish out. Not everything that goes a bit wrong has to ruin the rest of your time. Just because you're having a bad day, doesn't mean you're having a bad life. That little tidbit of knowledge I heard once is what I am learning to do now. 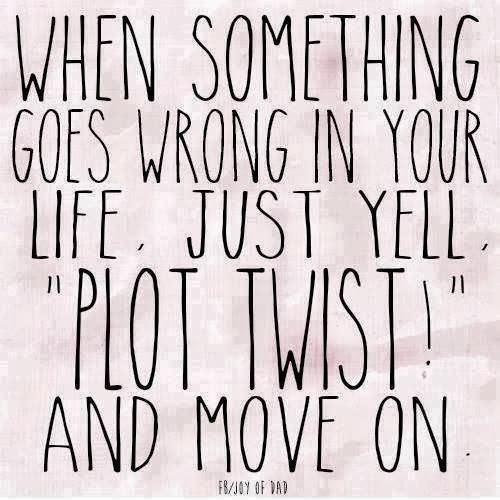 I'm learning to work with the "Plot Twists". Grab a hug from someone today. 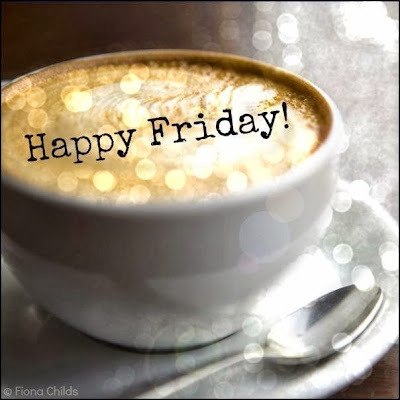 So glad you had a great week! Hope the weekend follows suit!